If there is one drink which a majority of the world would claim as something which is essential in their day-to-day lives, it would be tea. Directly made from nature’s greatest ingredients, this healthy beverage represents serenity and purity, and its clear by-products almost automatically assures detoxification from unwanted chemicals in our bodies. Tea goes a long way in our history—from its importation from China to its eventual fame all over the world, these magic leaves have already reached the pinnacle of their success. And while there are various types of this particular drink, taste varies just as equally. Tea connoisseurs are strict with their selections, and they mostly choose the types based on their flavours, smell, origins and most importantly, their taste. One such good brew of tea is the Lu Shan Yun Wu Tea. 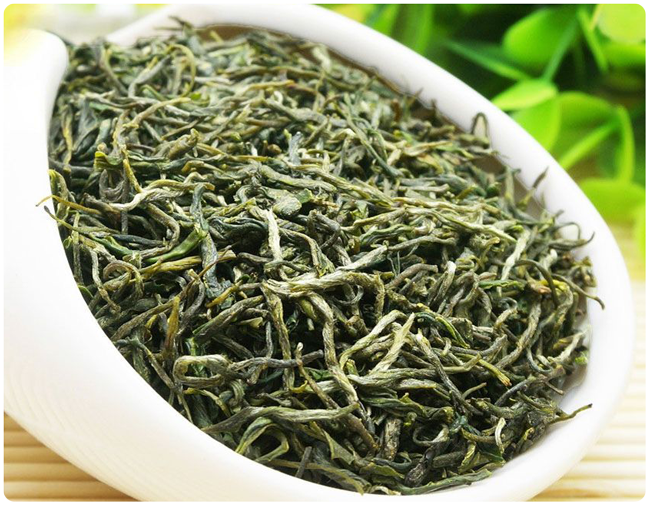 Let us take a closer look at the composition of this infamous green tea that comes from the Zhejiang Province of China, which is also incidentally one of the three areas which produce the finest tea categories. According to legend, when a man named Sun Wukong visited the heavens, he was able to encounter a new species of trees which he was at first unfamiliar with. Through the help of the birds which flew close by, explanations about the said tree were given and it was learned that they actually produced tea. The seeds of these trees were then picked up by the flying creatures and ultimately were dropped in the high garden mountains. And because of that incident, a new generation of tea trees blossomed, giving us the decadent result of the Yun Wu tea. However, it was also known that it was at the Lushan Mountain where the Yun Wu tea leaves were originally grown. The mountain stands at 800 meters and the clouds and mists are present for more than about 190 days per year. Why is it named as Yun Wu? “Yun Wu” literally translates to “Clouds and Mist”. As these tea types are being harvested from the tall mountains filled with fogs produced by seas of clouds, it is only proper that a miracle of nature would be named as such. The environment at which these tea leaves are grown essentially creates better yields. And because of the vast amount of clouds that cover the plants from the direct and harmful rays of the sun, moisture is retained in each leaf, and the slow growth due to the lack of light energy creates a better, more developed product. As they are grown at high altitudes with a different air pressure than those that were developed in level ground, the fusion leads into something unique and distinct without removing the richness which most tea lovers look for in their drinks. 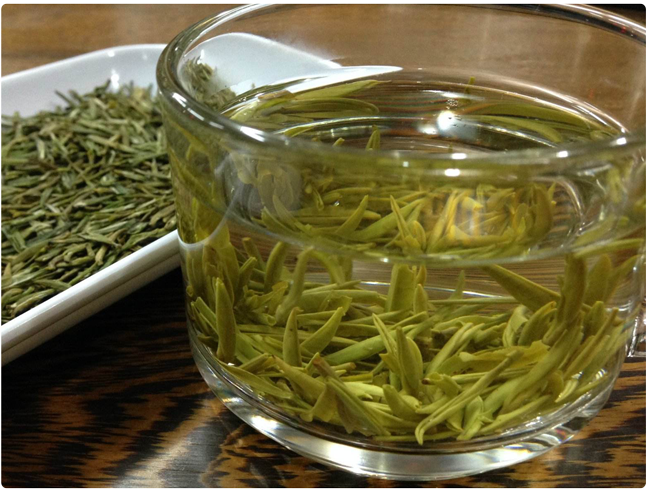 Perhaps the main feature of this Yun Wu tea is its decreased amount of caffeine in its leaves. The benefits of inducing lesser caffeine lowers one’s blood pressure, not to mention that an individual would be able to sleep better with greater chances of them waking up in a renewed, jovial mood. Taking in Yun Wu green tea also increases the amount of amino acids and antioxidants that definitely help in the slower aging process of just about anyone, with the added benefit of achieving good skin. Vitamin C, Flouride and Calcium are also found in the Lu Shan Yun Wu tea leaves. In a teacup of 8 oz of 185℉ temperature of water, use about 1 teaspoons of tea leaves. Have it steeped for three to five minutes, depending on the taste preference of the enthusiast. But for an increased amount of production, a 12oz teapot with half a tablespoon of the Yun Wu tea leaves can be good for about four servings. To ensure that the quality of the tea would not be compromised, the leaves should be kept in airtight containers away from heat or light sources as much as possible. Any exposure to these elements might affect them in the long-run, and one must also make sure that no other food would be close to the containers of the leaves to avoid the taste from seeping. Lu Shan Yun Wu tea leaves are produced in various steps. After harvesting, the leaves are continuously rolled by hand which gives them a curly, often-pointed tip. Afterwards, they will be fry-dried, and when water moisture has decreased by 20%, the leaves will then be gently rubbed, also by hand, and the dried, thin strips of leaves indicate that the correct process has been meticulously done. If you are interested in or want to know more detail, please visit our online shop.